The Atlanta Hawks are fifth in the NBA in assists at 23.8 per game, dishing out at least 20 in 26 contests, including 25-plus on 15 occasions (four 30-assist nights). Atlanta is sixth in the NBA in sag (8.6), while ranking fifth in forcing turnovers. Tonight wasn’t just any regular season match. 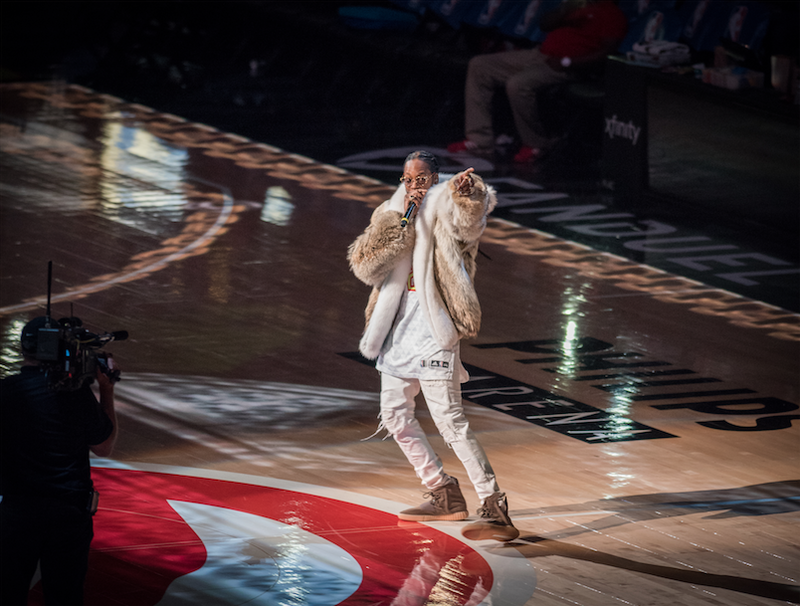 The Atlanta Hawks reconnected with 2 Chainz for a night of “Hoops and Hip-Hop”. The night could be truly celebrated by all with a Hawks win and that’s what the (16-16) club was shooting for. It was a good night for Paul Millsap who led the team with 24 points and 5 assists. Dwight Howard had only five points but nabbed 13 rebounds (the team leader). For Detroit, Andre Drummond was having a killer night with a double-double (13 points, 15 rebounds) and gave Dwight Howard a hard time in the paint. Reggie Jackson had 15 points, 4 rebounds, and 7 assists to help his team keep the game too close for comfort. During the closing minutes of the game you could see the play between the teams get more physical. There were two occasions where Piston players took exception to Dwight Howard and players on both sides were flying across the floor attempting shots and saving balls inbounds. 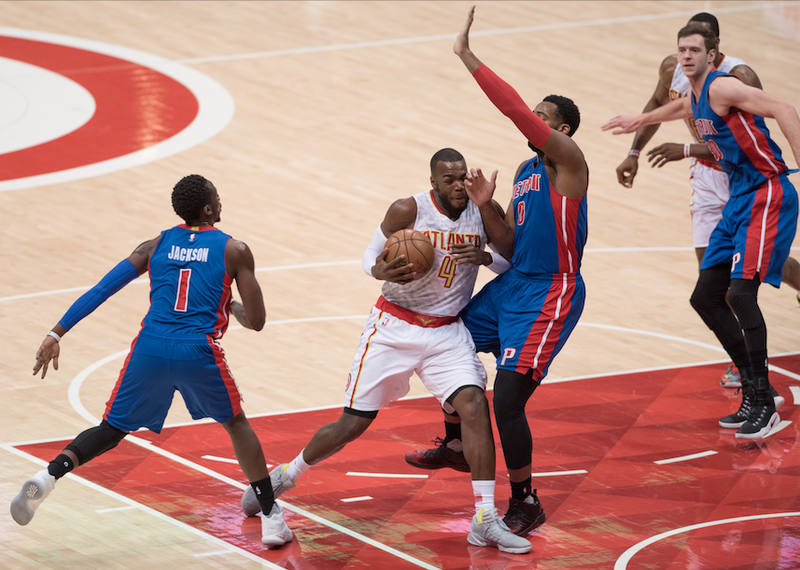 With solid defense and good clock management the Hawks were able to hold off the Pistons for the much-needed win. The final score was ATL 105, DET 98. The Hawks scored 105 points tonight which means they’ve hit the century mark 19 times this season. They held Detroit to 98 points this evening and the Hawks improved to 10-3 on the year when holding their opponent below 100. Their next match is Sunday, New Years Day, against the San Antonio Spurs.